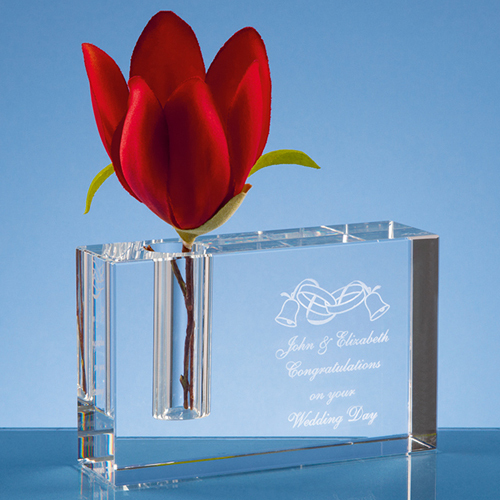 The rectangle bud vase is made out of clear optical crystal. It has a large engraving area that can be personalised with any wording, crest or logo to create a beautiful gift for any special occasion. The vase is also available with a square base.